The Budget promises some tax cuts and puts some limits on tax breaks for superannuation. But the Budget does not deliver tax reform. 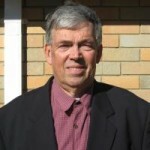 It fails to strengthen the tax base of our most important tax – the personal income tax. In particular, it fails to address the gap in our income tax base from negative gearing and the capital gains tax (CGT) 50% discount. In contrast, the ALP proposes to limit negative gearing tax concessions for rental property investors to new investors in new housing. The ALP also will halve the 50% CGT discount to 25%. What is negative gearing and why is it a problem? Under Australia’s income tax, all expenses on a rental property investment, including interest on the loan to buy the property, can be deducted against wages and other income, not just against rents and investment income. About 2 million taxpayers invested in rental properties in 2013-14, most having one or two properties. 1.25 million were negatively geared with nearly $11 billion in losses. Less than 10% of investors are investing in new construction. Taxpayers claimed $44.1 billion in rental property deductions of which the single biggest deduction was $23 billion of interest expense. If most investors make losses, why do they do it? They are chasing low taxed capital gains. Indeed, Australian rental property investors have been increasing rental investments and making net losses since 2000, in a massive surge since the 1999 introduction of the CGT 50% discount. The Tax Expenditure Statement 2015 estimated that the CGT discount costs revenue of $6.15 billion, projected to rise to $8.57 billion in 2018-19. Since we usually allow income tax deductions for all expenses, why should property investment be any different? 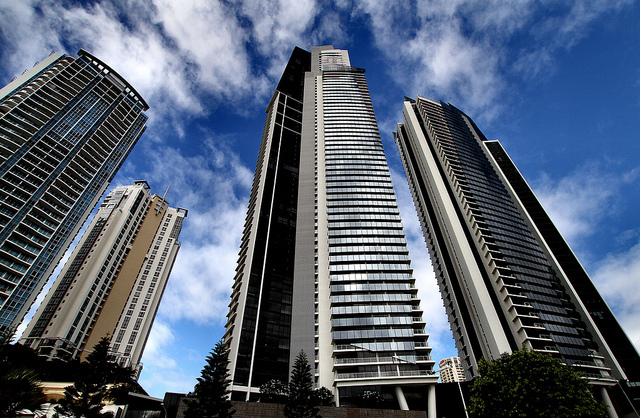 The main reason is easy access to bank finance and the flexibility rental property investors have in gearing up their investment and deferring tax on the gain. It’s true that share investments can be negatively geared, but shares have to be paying dividends to be eligible and share interest expense is a fraction of the interest on rental properties – banks won’t lend much on this riskier asset. Rental property investors benefit from a current deduction sheltering other income from tax at their marginal rate, and deferred taxation of capital gains at half the rate when the asset is sold. This strategy is of most benefit if you are on the top marginal tax rate. The Treasurer said that “those earning less than $80,000 a year in taxable income make up two-thirds of those who use negative gearing”. It’s true that the greatest number of investors negatively gearing have taxable income below $80,000 – because that is where most of the population sits. Even on this analysis, the Treasury shows that more than twice the proportion of high income earners negatively gear than low income earners. This analysis is confused by the Government’s use of taxable income figures after the negative gearing loss is deducted. Adding back the rental deduction, Daly and Wood 2016 show that the top 20% of income earners derive 70% of the benefit. And what are their occupations? Some “teachers, nurses, police officers, defence force personnel, office workers and tradespeople” do invest (in the Treasurer’s words) but it’s quite clear that top earning professions benefit the most. Those teachers who are negatively gearing get hardly any benefit compared to surgeons and anaesthetists. Meanwhile, no-one disputes that most of the benefit of the CGT 50% discount accrues to the well-off, with 73% of the benefits going to the top 10% of income earners. About one-quarter of investors – again, likely those who can afford to wait – will sell their rental property after retirement, when they face a zero or low marginal rate, in which case no tax at all may be collected on the gain. Most countries limit deductibility of rental property losses – and there are lots of different ways to do this. In the UK, rental losses can only be set against rental income. In the US, Ronald Reagan limited investment losses to investment income in 1986 – broadening the tax base to support significant tax rate cuts. The ALP proposal would restrict negative gearing to new investors in newly constructed properties from 2017. For new investors in other real estate, rental property losses would not be deductible from income such as wages, but could be carried forward and set against future rental income or capital gains tax. Existing investors who are negatively gearing are protected. The ALP would reduce the CGT discount on capital gains to 25%. There are revenue savings for these policies, starting slowly but estimated to build up to $32.1 billion over a decade at the end of which they would be $7 billion a year. That’s much more than is being raised by the Government’s superannuation tax changes. 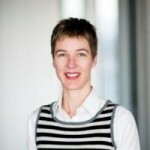 The Grattan Institute has proposed eliminating negative gearing completely phased in over 5 years rather than ‘grandfathering’ current investors as in the ALP policy. They model a saving of $5 billion a year once fully phased in. Daly and Wood also support a 25% CGT discount. A benchmark approach to capital gains would tax the full gain while indexing the cost to inflation, as applied prior to 1999. Another approach would quarantine all investment income and expenses in a separate ‘box’ which could be taxed at a lower rate. The Henry Tax Review proposed a separate ‘box’ for capital income, gains and expenses with a 40% discount. Limiting rental property losses may reduce demand from some investors, putting downward pressure on house prices. This would in time make home ownership more accessible, but Grattan expect only a 2% impact on prices. Low income investors might also have more chance of accessing the market. The Prime Minister’s claim that a limit on negative gearing would cause house prices to plummet seems less likely – he strongly disagrees with the Grattan Institute analysis – see Director, John Daley’s defence. 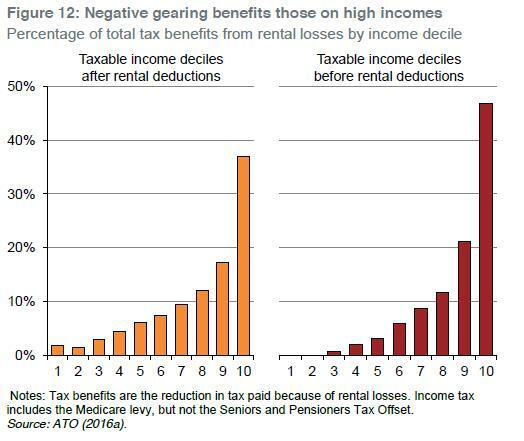 Henry Ergas assumes that negative gearing and low CGT benefits tenants by keeping rents lower. It’s true that as the McKell Institute shows, rents have grown much less than house prices in the major cities. 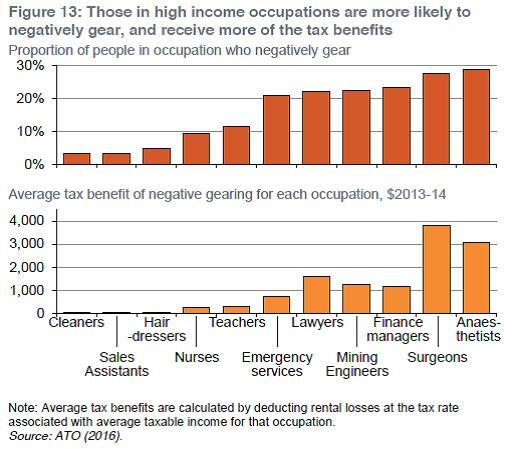 But as Wood and Ong explain, negative gearing does not support low income housing. We need more affordable housing supply to solve that problem. The reality is that price impacts cut both ways. House prices are driven mostly by low interest rates and supply constraints in context of demand from a fast growing population. 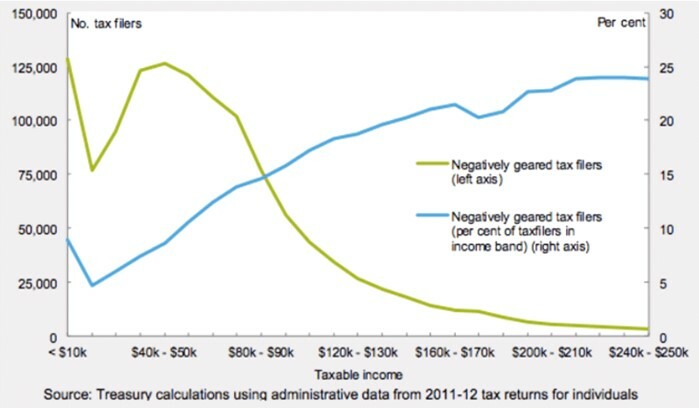 Negative gearing and CGT have a lesser impact. Australia’s negative gearing policy is anachronistic and our 50% CGT discount is too generous, overcompensates for inflation and creates an incentive for tax planning to convert income amounts into capital gain. The proposal for a 25% CGT discount and quarantining rental losses is a reasonable compromise. Ending these biases in the income tax system would be good housing and tax policy.